Looking for some tart taffy that will be sure to pucker any mouth? Look no further than our Sassy collection. 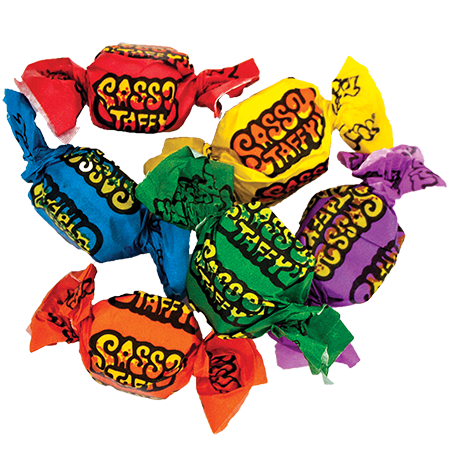 Enjoy classics like Lemon, Orange, Green Apple, Cherry, Raspberry and Grape all with more intense sassy sour flavor! 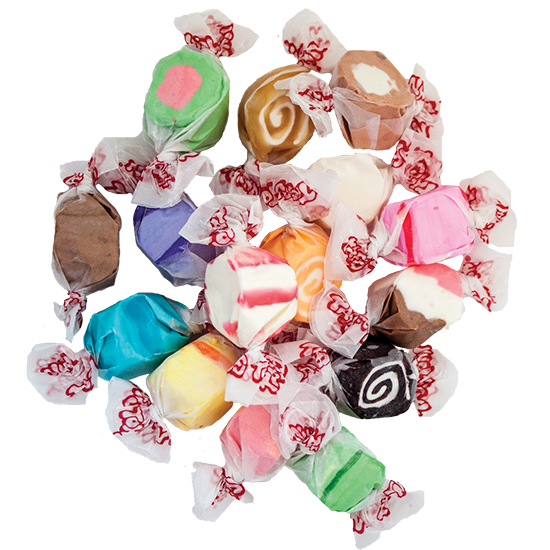 Each taffy piece is twisted in a colorful wax wrapper to represent the color of the taffy and has the trademark Taffy Town lettering to help our ever-growing fan base identify our product wherever it may be sold. It’s a colorful product with individual wrapping to make it easy to use in candy buffets, holiday treats, summer snacks, party goody bags and more. It is a fun medium to use for creative decoration projects and crafts for both children and adults. Order yours today and get this tasty candy fresh from the factory!